Located in the west end of Regina, Dieppe Place is one of the city's smaller communities. 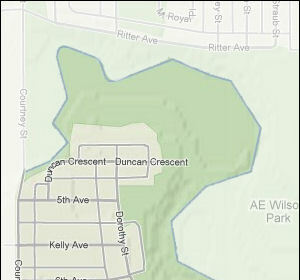 It is bordered by Courtney Street to the west, Dewdney Avenue to the south, and the Wascana Creek to the north and east. Part of A E Wilson Park is within our boundaries, and we're proud to host the Dieppe War Memorial. 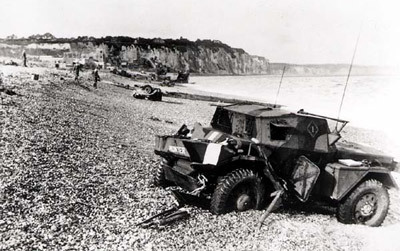 On August 19, 1942, Allied troops launched an attack on Dieppe, a small port in occupied northern France. Of the 6,000-strong force, several hundred were British, about 50 were American and the remainder — almost 5,000 — were Canadian. Their objective was to hold the port for a few hours, gain information and destroy German defences, and then withdraw. But the German forces had been forewarned, and the Allied commanders made a number of tactical and logistical errors before and during the raid. The plan went terribly wrong, and more than 3,600 of the Allied forces were either killed, wounded or captured. Canadian casualties were devastating: 907 dead, 2460 wounded, 1874 (including some of the wounded) taken prisoner. 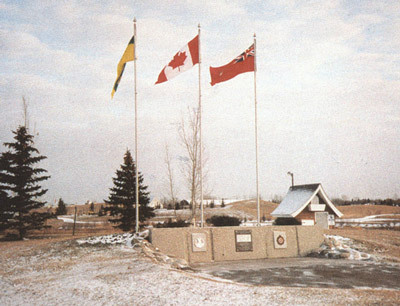 In the early 1960s Regina was expanding, and the city decided to recognize war veterans with a new development, a joint project of the municipal, provincial and federal governments. Named Dieppe Place in honour of those who fought at Dieppe, the new community consisted of half-acre lots on which veterans were offered favourable rates, provided that they built homes and lived on them. Many Dieppe residents today are the families of those veterans. 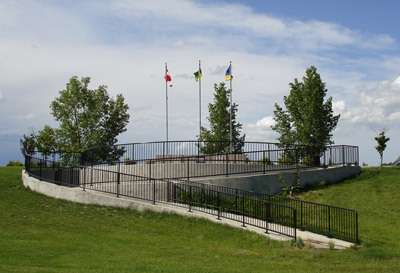 In 1992 a memorial was erected in A E Wilson Park, and dedicated on the 50th anniversary of the Dieppe Raid to "those who served during the Dieppe Raid, August 19, 1942". The memorial consisted of a concrete wall bearing three plaques, stones representing the beach at Dieppe, and three flagpoles. When that area of the park was excavated and remodelled as part of a drainage project a few years ago, the stones were removed and a ramp down to the lowered sports field was built around the memorial. ... the area was considered "out of town". Before development started it was all farmland — in fact, the oldest house in Dieppe is a former farmhouse on Duncan Crescent that was built in 1939. Residents on Kent Street have found a red brick floor two or three feet below the surface that was the floor of an old dairy barn. As recently as 1970 there were no houses between Dorothy Street and Kent Street, and where Courtney Street is now was still farmland. ... Dieppe Elementary School was brand new — a small round building that housed 60 students from kindergarten to Grade 6 in 1968. ... there was no McCarthy Boulevard, and the main route to the north end of the city was Campbell Street. ... Wascana Creek was crystal clear and full of fish, turtles and frogs. Local children would walk behind the school and across a field to a spot they named Stepping Stones because the water was shallow and they could walk across the rocks. ... the RCMP Depot Division used to be at the corner of Dewdney Avenue and Courtney Street. When the RCMP moved east to their present location, local children played there until a fire was started in the field. After that, the RCMP erected a high fence around the area, and it was no longer accessible to the public. Do you have any memories or photographs of Dieppe before it was developed, or during its infancy as a community? If you do, please contact us and we'll add your contributions to this page.